They’re here, the snowmen. 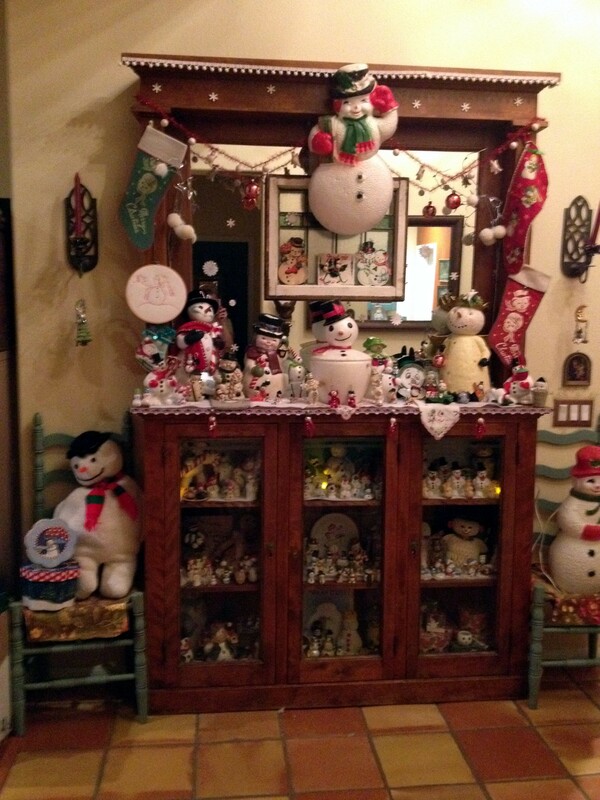 It took me roughly two hours to arrange them, there are far too many, and it seems like an awful lot of work for the amount of time that they are out, but I do love my snowmen. In particular, as I mentioned last night, things my kids make are always my favorites. The collection was never meant to get this large. 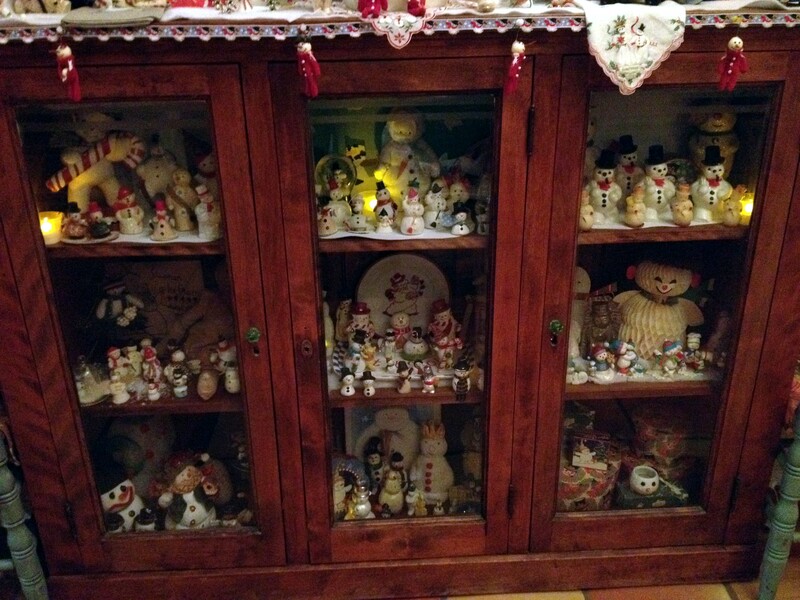 I had intended only to collect vintage snowmen, but you know how it is. People think that you want any snowman and they begin to buy them for you. Then thanks to my Catholic brain, I feel too guilty to not put them out. You never know when someone might fly in from Chicago to make sure that the gift they gave me ten years ago is still on display. 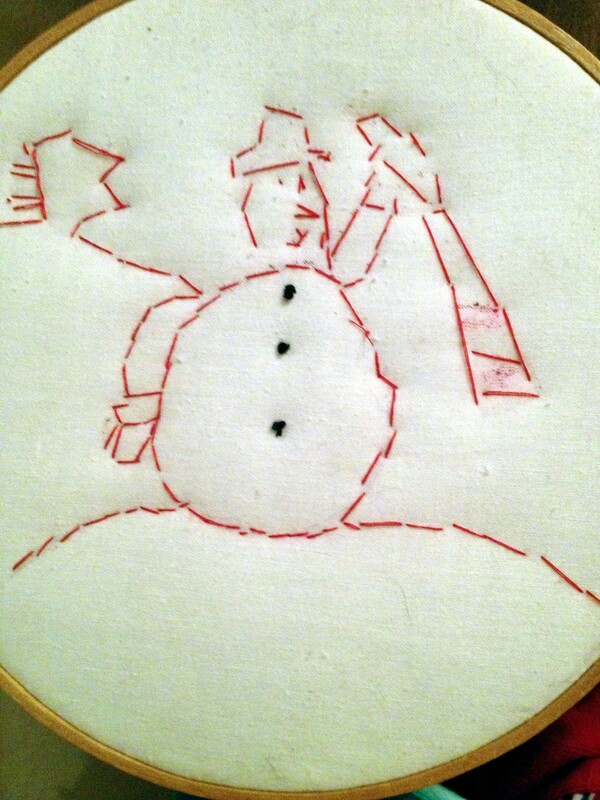 An embroidery project from Brian in the third grade. And a reverse glass painting Jessica did at home with me at about age six. The entire display. We have an old built-in from Chicago that we bought at a salvage yard and restored. It makes a perfect snowman display case. All this Christmas decorating doesn’t give me a lot of extra time for art, but I was in the mood to draw tonight. There have been some particularly beautiful sunrises in the last few days, and I wanted to recreate one. 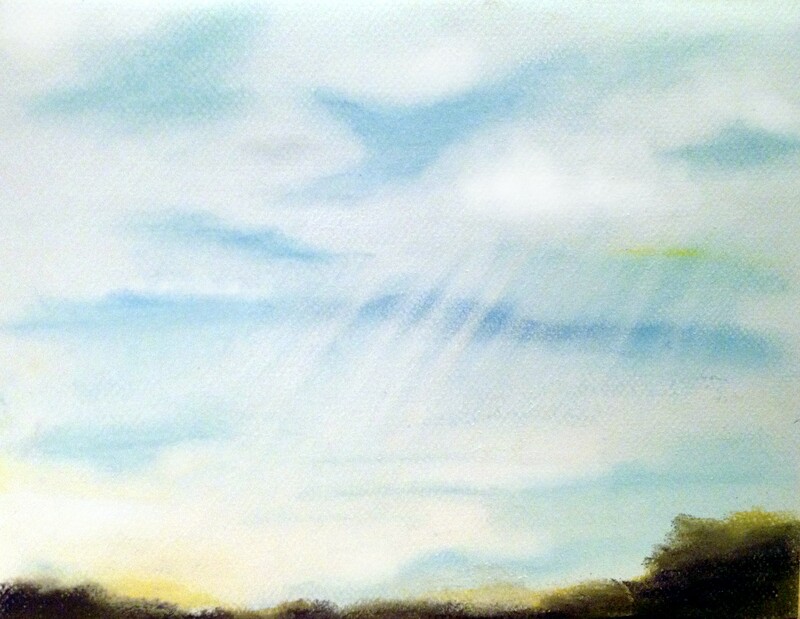 I was looking to do something soft so I decided on pastel chalk. I didn’t want to do a complete landscape. I love the way that the morning sun kisses the tops of the trees. 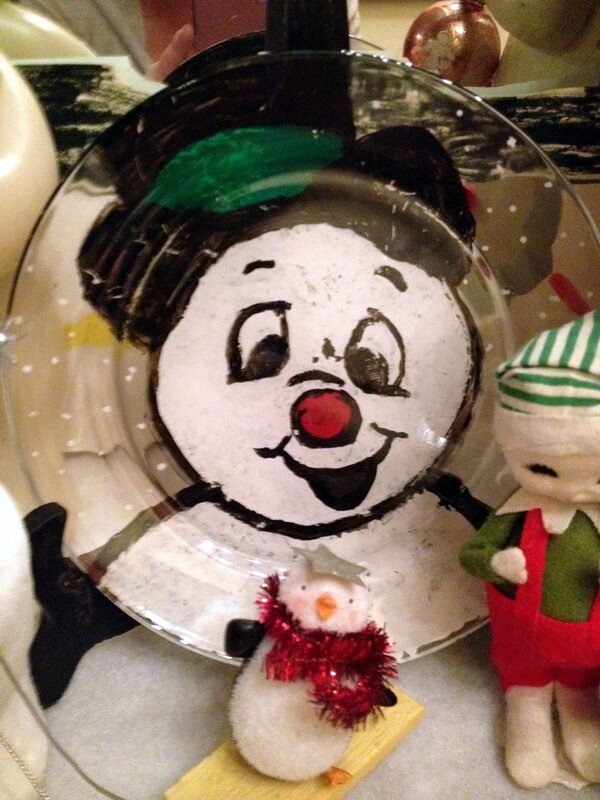 This entry was posted in art, Art and my life, Fine Art, Pastels, Uncategorized, Words, Writing and tagged art, Christmas, Display case, Fine art, Holiday, illustration, life, pastel, projects, Snowman, thoughts, Visual arts, writing. Bookmark the permalink.